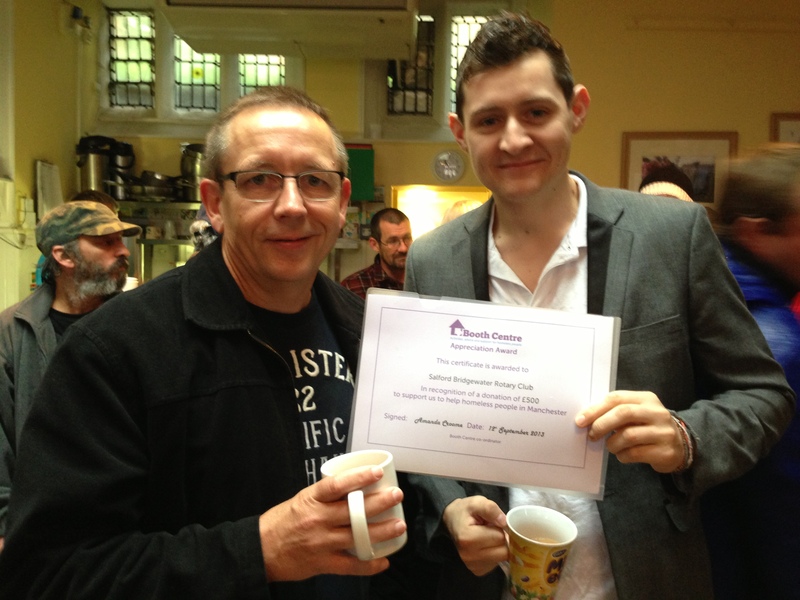 Earlier today Brian Berrell & Will Townley from Media City Way visited The Booth Centre in Manchester and was awarded a certificate for raising £500.00 to raise awareness of homeless people in and around the Manchester area. Brian had the following to say talking about the Booth Centre: "This is a fantastic charity to be a part of and we are looking forward to The Big Sleepout out on November 8th". The Manchester Sleepout AKA The Big Sleepout is a fundraising event to raise vital funds and awareness for homelessness in Manchester. Will Townley, talking about the Booth Centre, says: "I couldn't get over how open and honest the people of The Booth Centre were and how friendly and thankful everyone was. Media City Way are extremely proud and will do everything we can to raise awareness and money for this well deserved Charity." A well deserving charity, keep up the good work.